It is no wonder therefore that South Africans have seen an increase in craft gins of late. The selection on the shelves of specialist liquor stores is mind-blowing. 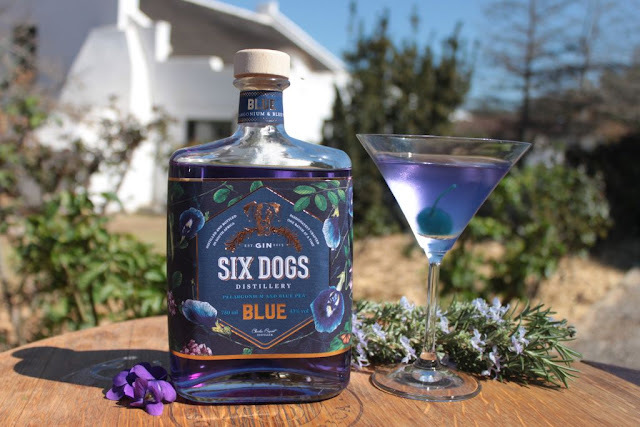 I suppose that with a spirit that is distilled from botanicals, South Africa must be one of the best places to craft gin. From rooibos, fynbos, buchu and many more indigenous botanicals to choose from, the possibilities must be endless. 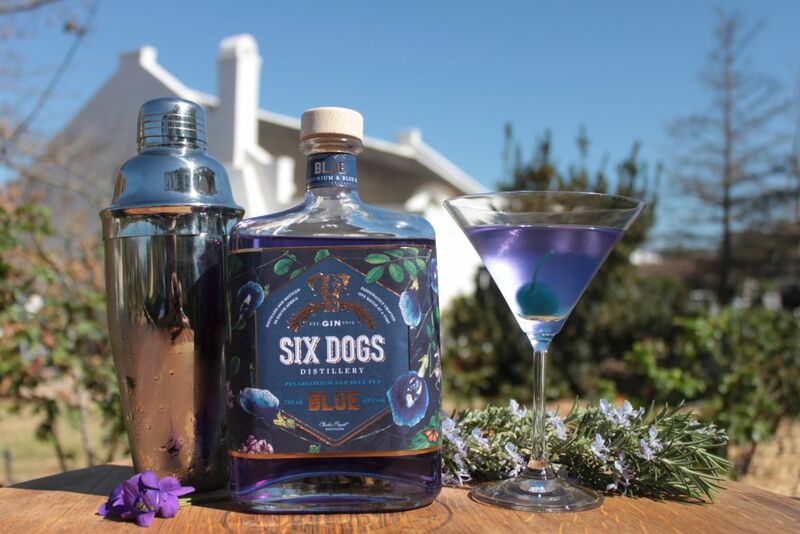 Having tried many of the new South African gins, from Salt River to the Overberg and beyond, I am keen to taste the next combination of South African botanicals to be captured by a creative distiller. 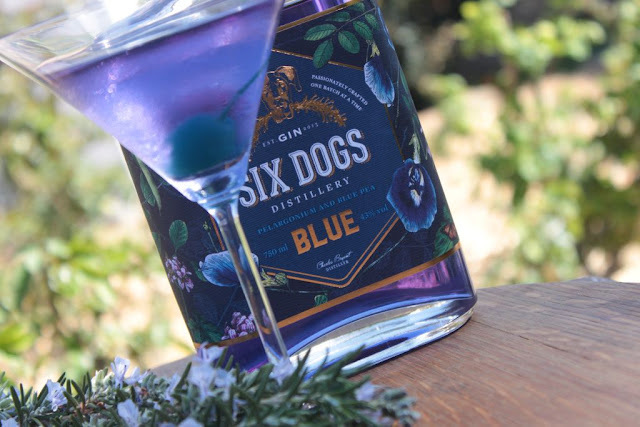 When I saw Six Dogs Blue Gin for the first time, I was firstly fascinated by the packaging. The velvet-blue box is decorated with blue pea and rose pelargonium flowers. On seeing the colour of the gin, I was convinced to buy it. It is a blue that spells adventure in cocktails. 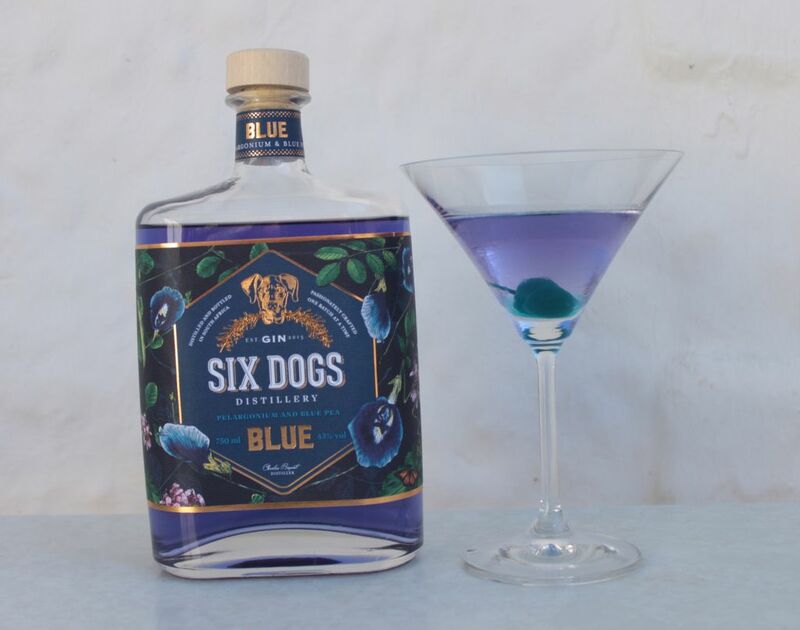 I love a blue cocktail. My ideas for combining cocktail mixes for this gin were endless, and this was before I had even tasted it. The familiar taste of rose pelargonium in the gin is unmistakable. 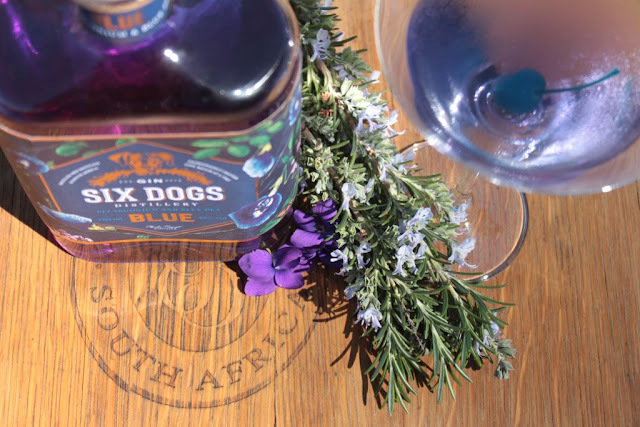 I do not know if it is the natural antidepressant qualities of the blue pea flowers or just the sheer pleasure of standing under our Karoo blue sky, but I could feel my spirits soar after one sip. I wanted to preserve the flavour of the gin intact in my first cocktail. I decided to go with a straight gin martini. I enjoy extra-dry vermouth and my martini needs to be shaken with lots of ice.To add to the celebration of blue, I garnished the blue martini with a blue maraschino cherry. 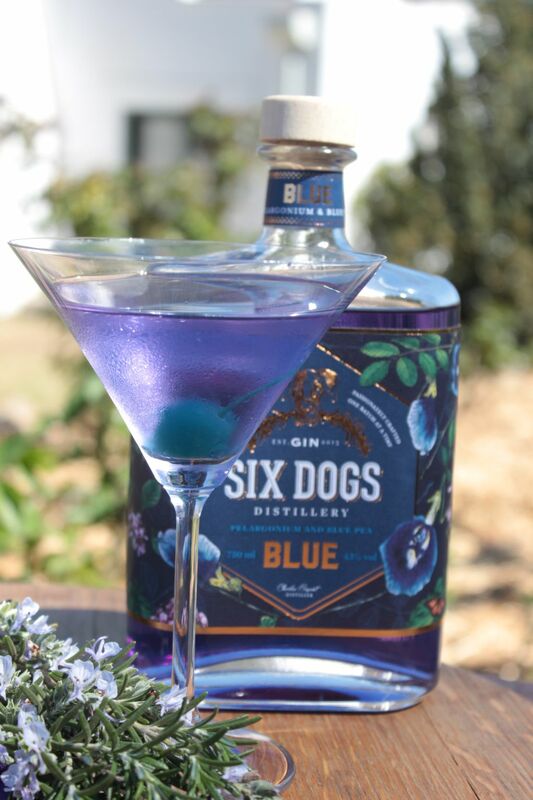 Looking at the cold blue drink in my hand and enjoying the lingering botanicals on my tongue, the experience was more than just a martini. It was dry and fragrant like a cold winter’s morning at Towerwater. The blue reminded me of the endless Karoo sky above me. I decided to call this cocktail Karoo Sky Martini. A stunning convergence of elements. Well done!